Looking for some tasty treats to serve at your baby shower? Look no further! 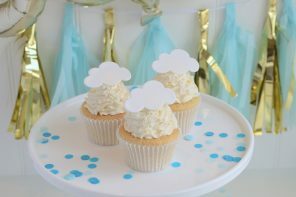 We’ve rounded up our favourite baby shower cake ideas and they’re all quick, easy and delicious! Read on for inspiration. 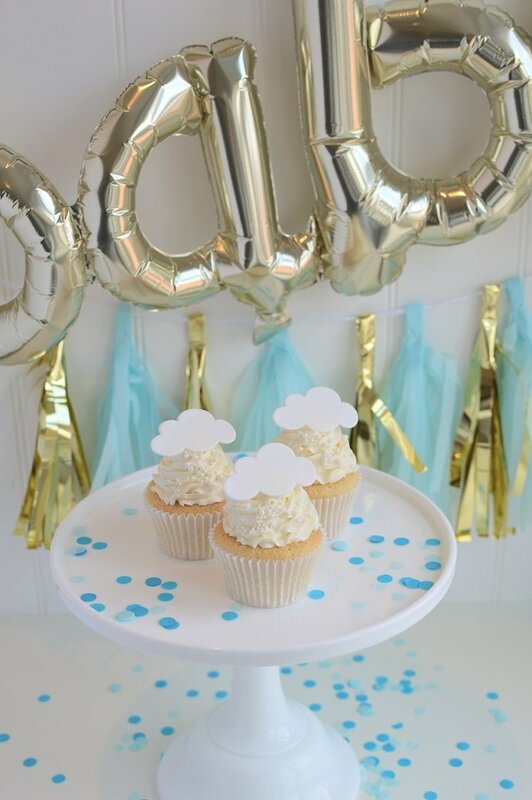 First up are these cute baby shower cupcakes decorated with our Oh Baby cupcake toppers! 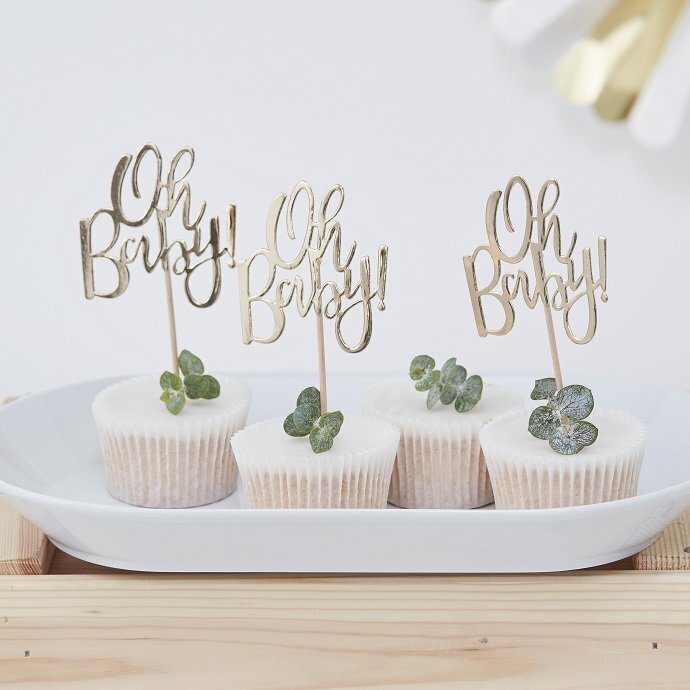 Whether you’re baking your own cupcakes or buying some, these cupcake toppers are an easy way to dress them up! Pick them up from our range of Oh Baby party supplies. 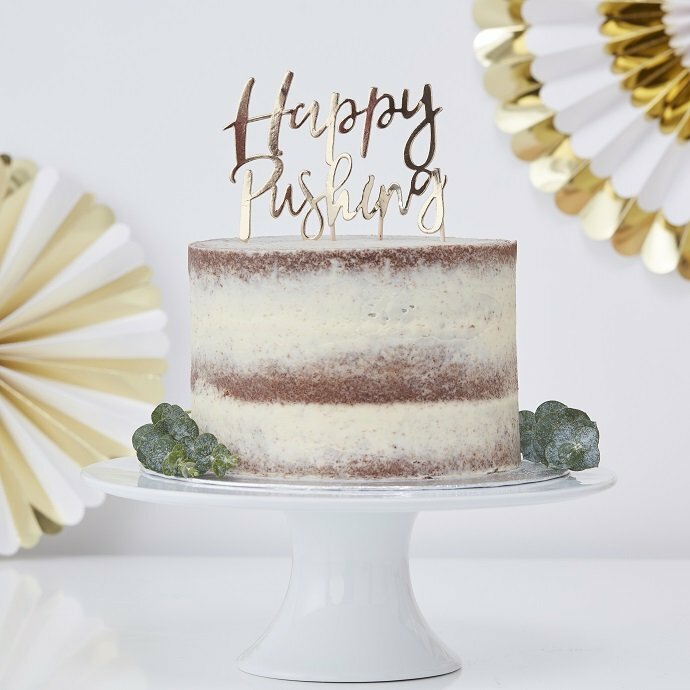 For more of a showstopper and something a little quirkier, how about a sponge cake decorated with this Happy Pushing cake topper? 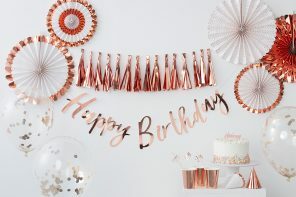 It also comes from our range of Oh Baby party supplies so you could match your cakes to your decorations! 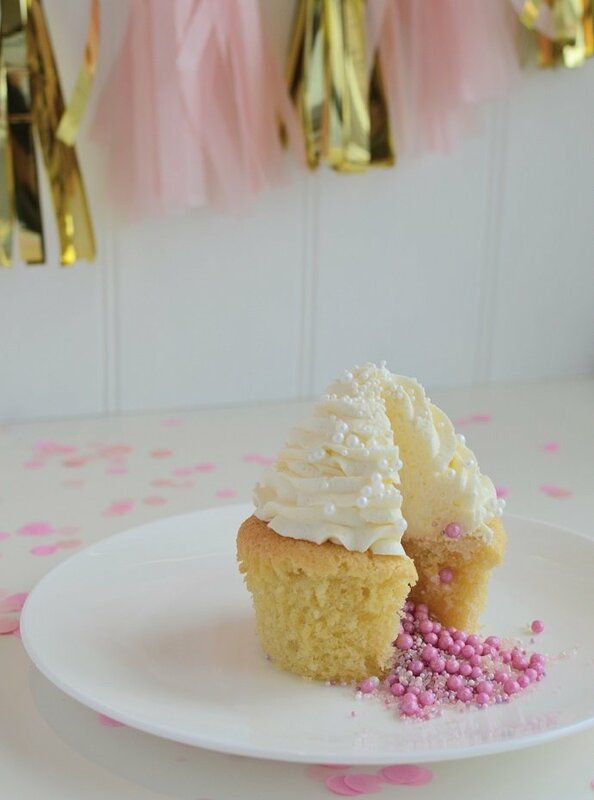 If you’re using your baby shower as an occasion to reveal the gender of your baby, how about making these adorable gender reveal piñata cupcakes? 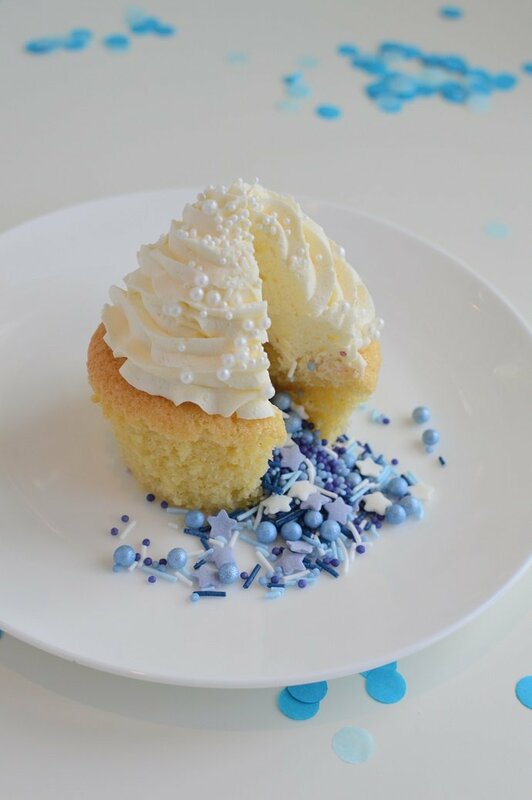 Fill each cupcake with pink or blue sprinkles and when your guests bite into them, they’ll find out whether you’re having a boy or a girl! Fancy having a go at making them? Find the full tutorial here. 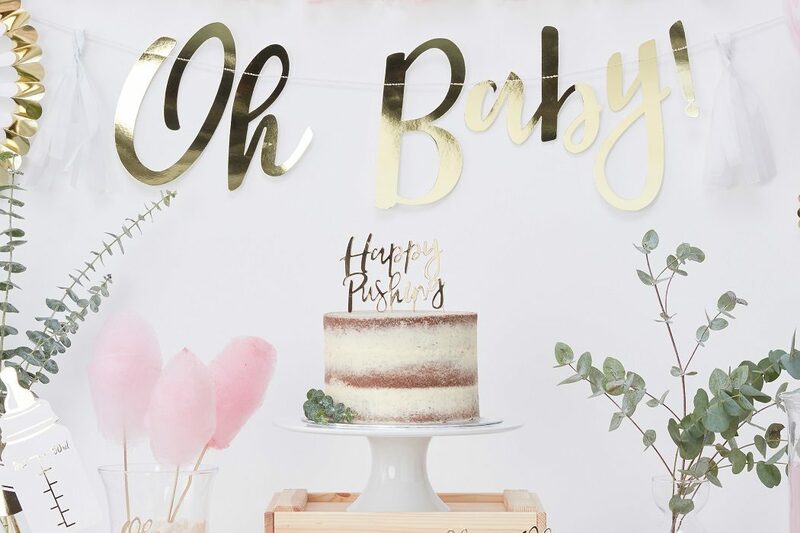 There’s much more to a baby shower than just the cakes! 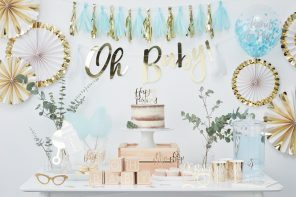 Check out our full range of baby shower supplies for games, decorations and everything else you need. Or for more inspiration, stay on our blog!